Few conversations in America are quite as polarizing as the one we typically have about guns. We're pulling both sides from their entrenched positions to find common ground. 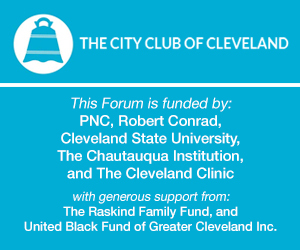 This panel discussion features Phillip Morris, Columnist, The Plain Dealer, and Edward Hill, Dean, Maxine Goodman Levin College of Urban Affairs at Cleveland State University; and is moderated by Dennis Terez, Federal Public Defender, Northern District of Ohio.